Like many trends, tiny house living started primarily in the Western states. The idea has been a bit slower to catch on in the Midwest, but maybe that’s a good thing. It gives the industry a chance to work out the kinks and come up with plans that fit more people. 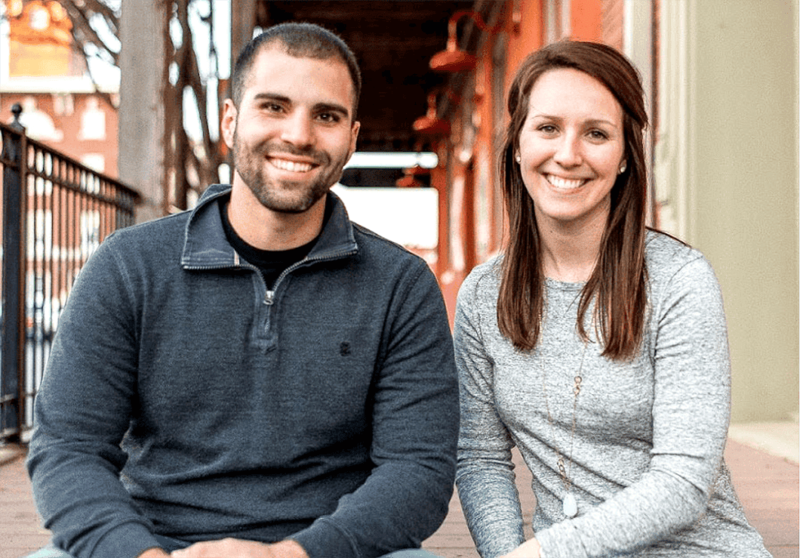 microMansions was founded by Abby and Brady of Wichita, Kansas. 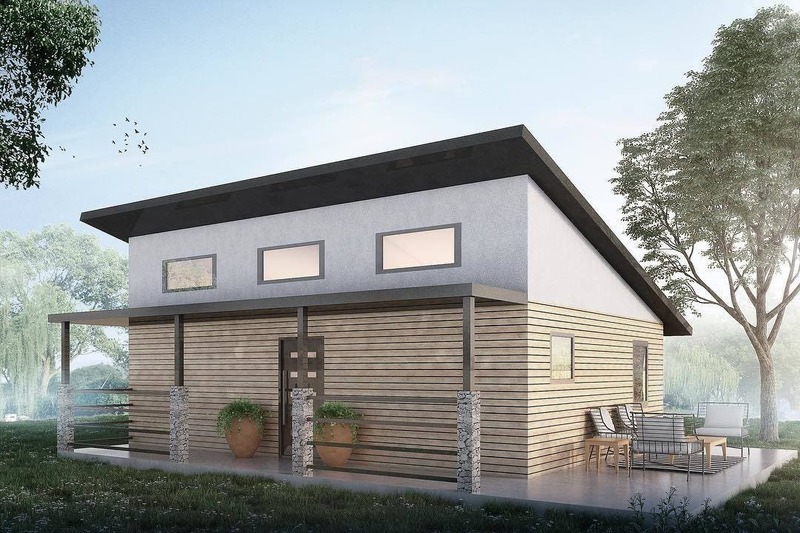 Itty, bitty and illegal is not the plan for microMansions, a Wichita, Kansas based company that is planning to build smaller, energy-efficient, and innovative foundation homes in the Midwest. 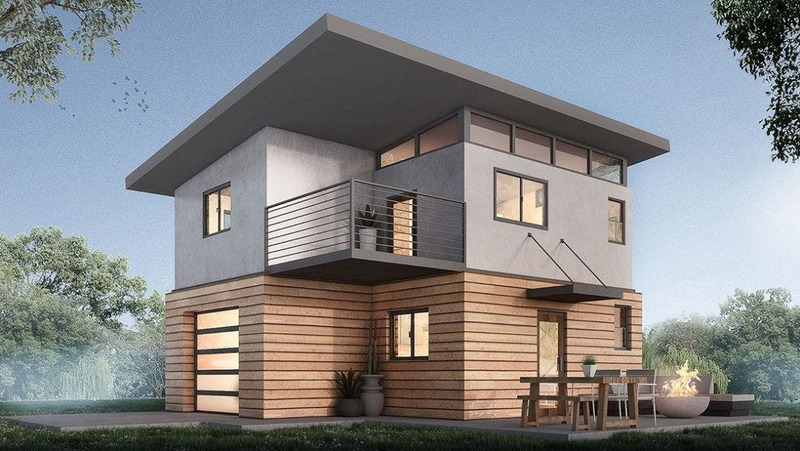 Their current home plans range from 408 to 575 square feet and include energy efficient building techniques, appliances, windows, and doors. The homes can also be upgraded with smart appliances like Ring and Hive Home. Designed by Abby and Brady, the contemporary microMansions came about when the couple discussed the difficulty of finding smaller, affordable homes in their area. As an interior designer, Abby had already designed a THOW, but Brady expanded the idea into small homes on foundations. His family had previously moved and renovated a barn. Their goal is to offer simple but luxurious homes in a community setting. The current floor plans include the Brady. It has one wall full of windows, one bedroom and an optional detached garage or carport. 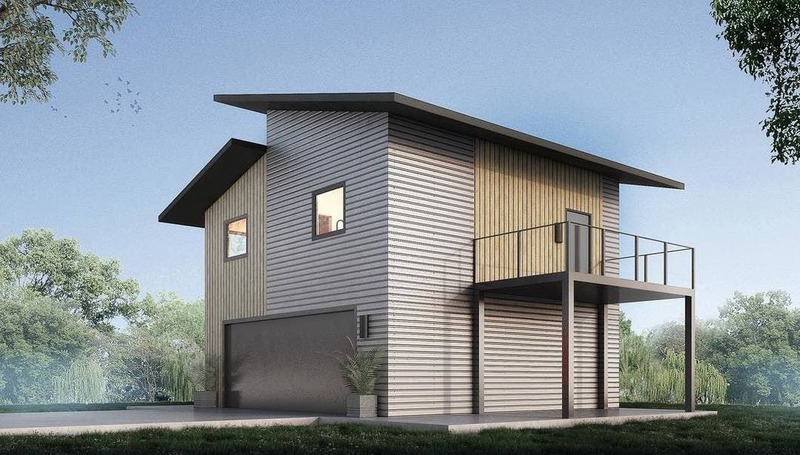 The Dunn is a split-level home with two bedrooms. 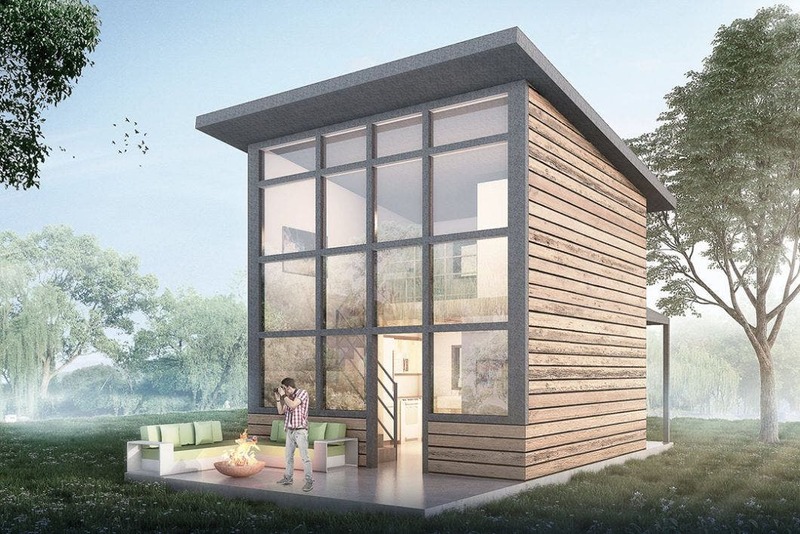 The Malcom is the smallest at 408 square feet and a bedroom loft. The Smittle is 544 square feet and has two bedrooms and a walk-in shower. 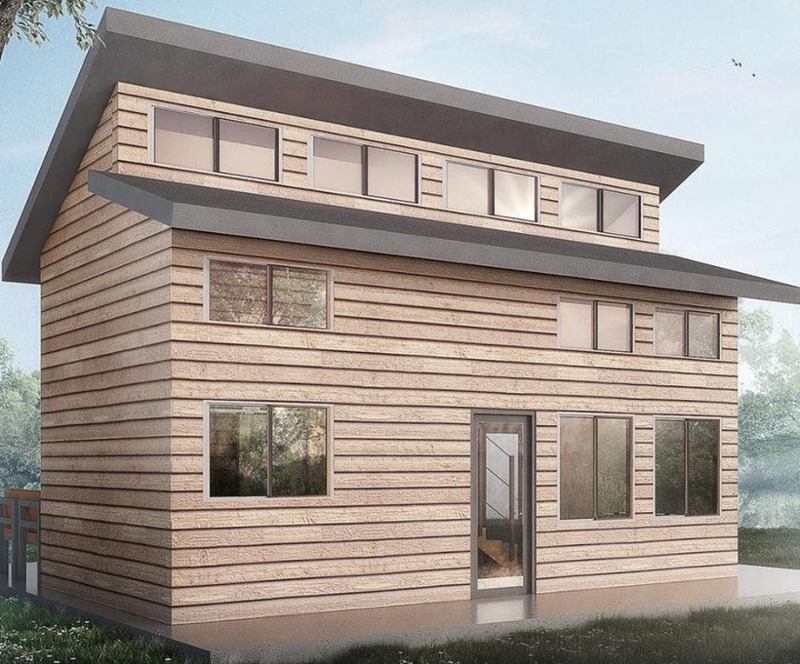 The Winston is a single level home with one bedroom, patio and meets ADA requirements. Buying a microMansion comes first with a consultation and choice of property and floor plan. A $1,000 deposit is required and goes toward the home. The homes can be finalized with a variety of color schemes, flooring, counters and cabinets, and shower tiles. …and the 575 square foot Dunn model. Mystech, you can contact microMansions for the prices on their various plans. The prices will vary per model size, amenities, and options. Some of those “living rooms are hardly big enough for a love seat, not much “living” space. The Smittle is the most livable, but only if you convert the garage into a living room/dining room and leave the upstairs area as a sitting room/office. Just my 2 cents. This is a great idea. We’ve had several tiny houses on wheels here in our rental,area but I’ve always thought a small house on a foundation is the way to go. I got permission to sell lots to tiny house owners and one lot will have a 400 sq. ft. Park model home built by Clayton Homes. Unfortunately your casually interested inquirerers will be mortified that a house like these can’t be bought for 40k- 50k. Good luck! Don’t be put off by snarky comments and inquiries! This is an awesome concept! Check out Green Bridge Farm in Savannah to see what our experimental / sustainable subdivision is becoming.